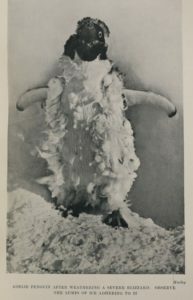 Born in Yorkshire, England, on 5 May 1882, Douglas Mawson was the son of cloth merchant, Robert Ellis Mawson and his wife, Margaret Ann. Mawson’s family immigrated to Australia in 1884, settling at Rooty Hill, New South Wales. 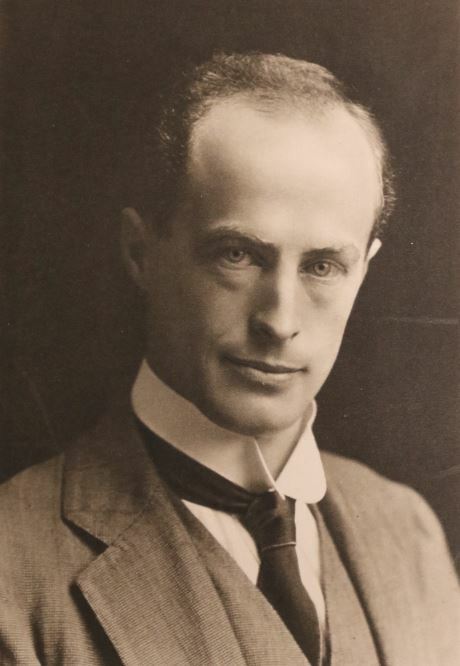 Douglas was a talented student and in 1902 graduated with a Bachelor of Engineering from the University of Sydney. By 1905 he had added a Bachelor of Science (Geology) to his repertoire, his efforts immediately rewarded with an appointment to the University of Adelaide as lecturer in mineralogy and petrology that year. Over the next few years Mawson made valuable contributions to geology, in particular identifying and describing the mineral davidite, containing titanium and uranium, in specimens from the region we now know as Radium Hill, the first major deposit of radioactive ore discovered in Australia. In November 1907 Mawson approached Ernest Shackleton, leader of the British Antarctic Expedition, who was on his way down south. He wanted to join Shackleton on his round trip on board the Nimrod to Antarctica with the aim of seeing an existing ice-cap and becoming familiar with glaciation and its geological consequences. With Edgeworth David’s approval, Shackleton appointed Mawson as physicist for the 1907-1909 Antarctic expedition. 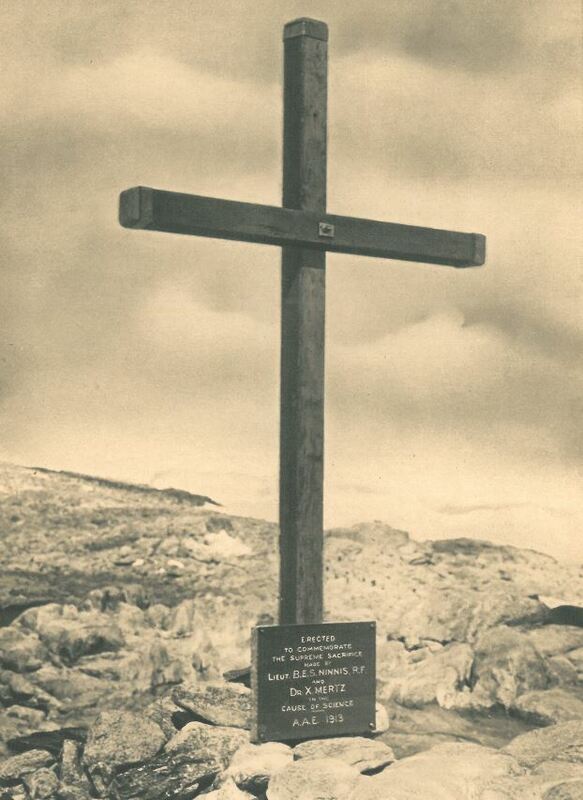 Mawson was a member of the first group to climb Mount Erebus and, the following summer, he and David and A. F. Mackay would be the first to reach the vicinity of the South Magnetic Pole. They hauled their sledges more than 2,000 kilometres in the process, the journey almost ending in tragedy when Mawson fell into a crevasse on hearing a distress signal from the Nimrod on their return, which was then required for his rescue. It had been a challenging expedition. Exhaustion and hunger plagued them all, none more so than David, who eventually requested Mawson assume leadership of the team. Afterwards David publicly praised him, saying: “Mawson was the real leader who was the soul of our expedition to the Magnetic Pole. 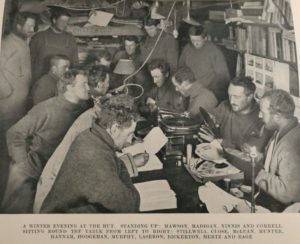 We really have in him an Australian Nansen, of infinite resource, splendid physique, astonishing indifference to frost.” For Mawson, it was an enormously productive voyage; he had found excellent opportunities for geological and glaciological investigation and, on his return, immediately began writing reports on his discoveries. In December 1911 Mawson set sail for Antarctica again, this time as leader of what would become the Australasian Antarctic Expedition (A.A.E.) 1911-1914. He had planned the voyage carefully, recruiting suitable personnel, including Cecil Madigan, and acquiring important equipment and the necessary supplies. Despite his remarkable preparation, he could not have foreseen the devastation that would await him. Leading the Far Eastern expedition from Main Base, Mawson departed with Ninnis and Mertz on a journey of scientific exploration. They were not yet 500 km out when Ninnis, with his sledge and dog team, fell into a large crevasse, disappearing entirely. Confronted with tragedy and severely depleted provisions, Mawson and Mertz began the long trek back, using their remaining dogs as a supplementary food source. At the time, they were unaware of the toxicity of the dogs’ livers and twenty-five days into their return journey Mertz, who was starving and exhausted, passed away, his death potentially hastened by excessive intake of vitamin A from the livers. A seriously debilitated Mawson discarded all that was not necessary for his remaining journey, sawing his sledge in half and dragging it a further thirty days back to Base, alone. On his approach, he saw the Aurora, upon which he was to sail home, on the horizon. It had been and he had missed it by hours. A small party had remained behind to search for him; it would be another year before they could all depart Antarctica. 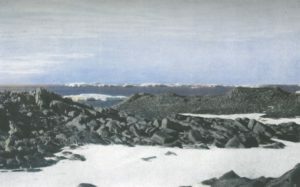 The Home of the Blizzard is Mawson’s account of this expedition. Published as a two-volume set in 1915, it was illustrated in colour and black and white, with splendid photographs by the expedition’s official photographer, Frank Hurley. Intended to be a popular and general narrative of the A.A.E., the book offered profound insight into the conditions that the men endured, recognizing both their patience and perseverance as it recounted their daily activities and scientific expeditions from the various bases. Everything from preparations for their departure; arrival in Adelie Land; blizzards; domestic life; mid-winter, autumn and spring exploits; the quest for the South Magnetic Pole; Horn Bluff and Penguin Point; the Western Base, and life on Macquarie Island was covered, plus so much more. “The equinox arrived, and the only indication of settled weather was a more marked regularity in the winds. Nothing like it had been reported from any part of the world. Any trace of elation we may have felt at this meteorological discovery could not compensate for the ever-present discomforts of life. Day after day the wind fluctuated between a gale and a hurricane. Overcast skies of heavy nimbus cloud were the rule and the air was continually charged with drifting snow. Between their place and ours. The home of the blizzard was never intended to report on or analyse the data collected on the expedition, for this was done in a series (22 volumes) of A.A.E. Scientific Reports, edited by Mawson and finally completed in 1947. It does, however, provide a superbly accessible account of the region’s general geology, cartography, meteorology, aurora, geomagnetism and biology. 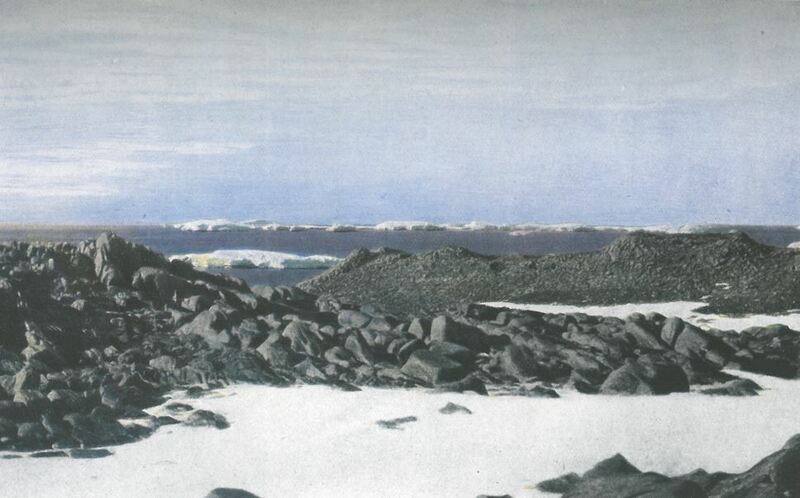 It records one of the most important events in Australian history, and showcases Mawson’s remarkable enthusiasm for developing and extending geological thinking.